Sensational mountain views from all windows & inviting covered patio! 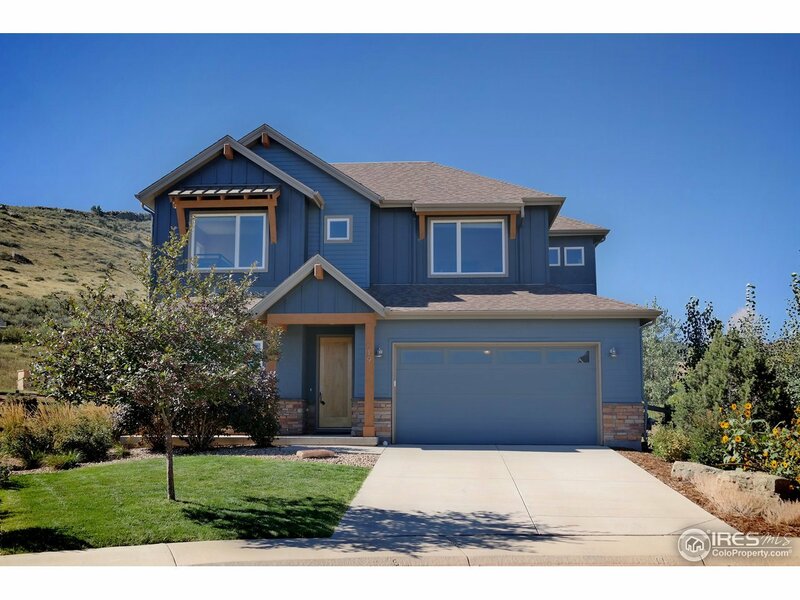 Markel designed 2-sty in peaceful Lyons Valley Park on quiet cul-de-sac offers panoramic views & quick access to parks, trails, open space & town. Dramatic windows provide abundant natural light & open floorplan is spacious & comfortable. Upgrades: solid maple front door, extended oak flrs, Kona stained cabinets, quartz counters, fun tile finishes, roller & cellular blinds. Tandem 3-car garage for bikes, kayaks, gear, storage.